Wash the dals and soak them overnight or for 4-5 hours. Grind the dals to a fine paste with little water. Add salt,jeera,chopped green chillies and coriander leaves. 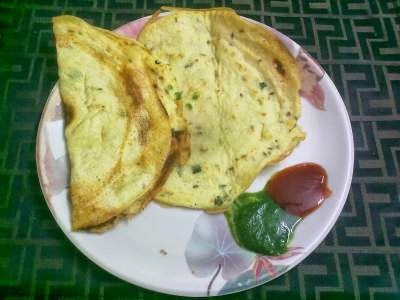 Take a laddle full of batter and prepare dosas. When it becomes light brown turn it. Serve hot dosas with chutney/sauce of your choice.